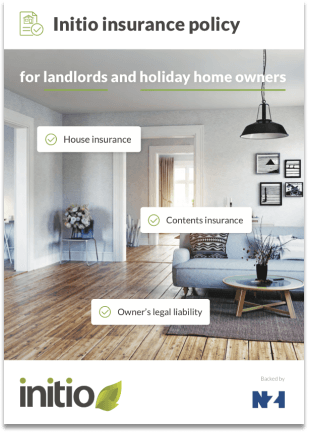 New Zealand’s only holiday home insurance policy designed for the kiwi bach, the Bookbach, and the Airbnb rental. Get an instant online quote and start cover online. We know that your holiday home is used by family and sometimes paying guests too. So we’ve built an all-in-one online insurance policy for New Zealand holiday homes, its the only one like it, and that’s why we are endorsed by Bookbach and insure 1000’s of holiday homes. Standard house insurance doesn’t work for holiday homes. Holiday homes are often left vacant for extended periods, they have personal contents and sporting equipment, and sometimes they get rented out to short staying guests. We know all of this, and we’ve built a policy to suit. Instant quote and insurance cover online, including certificate of insurance to your inbox and the ability to make changes in real-time with NZ’s only Live Policy Management. It also means that we can pay claims fast, make claims and view their progress directly from your personalised insurance dashboard. Your chosen excess will apply if the property is inspected every 60 days, is adequately maintained, mail is cleared, water supply turned off and all doors and windows secured. Its a specific insurance policy that covers the holiday home itself and provides protection for holiday home risks such as unoccupancy for long periods, and damage caused by guests and paying guests. Whether a property is rented to short staying guests or is just used by friends and family – a holiday home insurance policy is necessary. That’s exactly what our policy is designed for. The initio policy provides cover for guest risk including malicious damage, contents, prevention of access and loss of rents. If you are renting your holiday home out and don’t have a specific holiday home insurance policy or haven’t told your existing insurer you may not have cover if something goes wrong. AirBnB and Bookabach have ‘back-up’ insurance for customers too but its best to have a primary insurance policy that provides the right cover. Find out more about insurance for paying. Then its not technically a holiday home and would not be covered by the EQC in the event of an earthquake. For this reason initio can’t provide cover either as the property is more like commercial accommodation than residential. Learn more about the difference. Read more about the biggest risks for holiday homes. As long as you have a holiday home insurance policy that provides cover for guest damage then you will be protected. The initio policy Yes, includes cover for theft and deliberate damage by tenants. We will pay up to $25,000 for one event. So long as you have holiday home insurance that specifically covers loss of rents you will be protected. The initio policy provides automatic cover for $20,000 of loss of rents, but you can increase this up to $80,000. For cover to apply the property must have suffered damage that causes the cancellation of the stay. Most insurance policies require a tenancy agreement to pay loss of rent BUT initio provides insurance based on your cancelled bookings and expected bookings (based on the previous year). You will want to insure your holiday home for the amount it would cost to replace it with a new one. You also need to include extra things like fences, driveways, and swimming pools. And you will want to add in a provision for the inflation in the cost of materials and the cost to demolish and clean up the site. It is recommended that you use an online tool such as Cordell or obtain a valuation from a quantity surveyor such as CCC. See here for more information about a rebuild valuation. Intuitive online process, always been good when I've had claims or queries, very efficient and accessible. Very seamless and meets our requirements. Easy process and lovely experience from the staff on emails and over the phone. Everything seems to work efficiently and the website is easy to use. Great online platform, very convenient and easy to use. Quick and easy, seems a fair price. Easy system to use, type of cover suits our application. Your policy is tailored to my needs. Renewal is very easy. Great, fast, professional service and good prices. Have been recommending to others for a number of years. Have had great service. Because your policy is suited to our needs ie holiday home that is rented out. Thankyou. Easy to review, update, renew, all good. To be honest this claim was ridiculously easy and fast, this is without a doubt the benchmark now for all insurance companies. Brilliant !! Service from staff is always efficient. Website is easy to use. Easy to organise on-line. Half the price of previous insurer who took 2 months (and numerous phone calls & emails) to provide a quote because they didn't know what Airbnb was! Dealt with a recent claim quickly and efficiently. Plus it was fair. Easy and offers the type of insurance products that match our rental property needs. Prompt & friendly service received recently, thank you. Easy to renew. Suited to our holiday house with free contents. Good value and easy to set up. Pure luck finding Initio on a website where someone had commented and said they were with you. I knew there had to be something in between Landlords insurance and Commercial, as I was getting quotes of $2500-$3000 which were excessive for an airbnb property. The on-line chat was helpful and gave me the answers I wanted. However the fact everything is on-line makes me a little nervous as there are always loopholes with insurance and I was on the wrong policy with my last supplier so just hope we have got this right. It was so simple, I have been waiting for AMI to give me an answer as to whether they would insure my property for days even though I've been with them for 11 years! You specialise in holiday rentals and are aware of the risks involved. thanks! We were dreading lodging a claim after our property suffered storm damage. Most of what you hear about is insurance company's finding ways to avoid ever paying out with some tiny fine print so we put it in, expecting the worst. However our experience with Initio was anything but. They were very quick and efficient with responding, fair and very helpful with us settling the claim. And so patient while we worked with tradesmen to try and repair everything - it took them many months and we never felt pressured by Initio. I wish all insurance company's were this easy to deal with! Ease of renewal and everything clearly explained. In just 6 years our premiums have almost doubled. I know it's not your fault, but that doesn't stop it from being wrong. I am especially surprised when it comes to holiday houses that there is no benefit for having an alarm system in the house, which I would have thought highly desirable from an insurer's point of view ? Compared to other providers, policy was clear and straightforward. There were no tricks or loops in the wording. Easy to understand. No frustrating salespeople. Because it's easy to renew and, good if you have a holiday home. It seems really expensive - especially when no claims have been made in the years we've been with them. Although I haven't bothered to enquire elsewhere! Options, easy claims, suits my exact needs. Super fast claim service and great interaction with claim staff both over the phone and via email. Fast and easy. A great cover at a good price. Meets our needs perfectly providing insurance for our Bach that we also rent out as a short term rental. Easy communication and staff very helpful. Good sensible online service. Withholding one star as haven't yet had to make a claim so can't comment on this. Easy process and good cover specific to short term rental holiday homes. Simple renewal process. Also claim process very straightforward, we were very well looked after by Initio when we had a flood in 2016, only 2 months after taking out this policy with them. Happy to continue with our custom. Easy to set up. Cheaper than other options- but it has increased substantially in the last two years! Price increases over 20% in 2 years on a new property. Simple process, excellent pricing. No hassles. Efficient and easy process to insure, with clear and concise detail requirements and cover provisions. Also made in reliance on the claims process (which we hope never to have to use) being similarly efficient and straightforward, with personal Initio attention and availability as required. Because it is designed specifically for holiday homes. I was not told that a 3 month period closes for EQC claims. It would have been helpful to know this as we have just found some damage under our house that was a result fo the KaiKoura quake in Nov 2016. We never go under our house but saw this last week due to the council wanting to put in some water drains by our home. Hence we saw the damage under there. My limited dealings have been exemplary. Seems like good service and value. Hassle free - I hope claims, if any, are this easy!! The process is so easy to renew and pay. I haven't had to lodge a claim but I am hoping that it will be as easy if the need every arises. Easy to deal with and comfortable with explanations as to policy wording particularly as a holiday rental can be tricky to define. I was amazed how quickly the claim was settled. Very good service. Ministry of Business, Innovation and Employee guide to short term rentals. Tips on ensuring your back’s covered when renting out your property to holidaymakers using the likes of Airbnb and Bookabach. Read the full article on Interest. As a bach owner, you have to comply with five different Acts relating to health and safety. Bookabach has read the acts so you don’t have to – and summarises the main points. This factsheet explains the tax rules applying to a ‘mixed-use’ holiday home, meaning holiday homes that are rented out to paying guests. Its important to understand you tax obligations. See the IRD fact sheet.